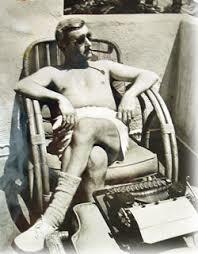 As Faulkner's Birthday Nears, Mailmen Ask "What If?" OXFORD, Miss. 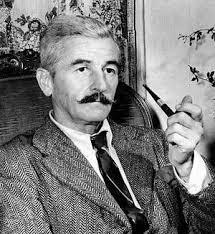 This college town of approximately 19,000 was once home to William Faulkner, one of the greatest novelists of the 20th century, but before he became famous, Faulkner was postmaster at the University of Mississippi Substation Post Office here, a fact that endears him to postal employees around the world. Ya might be all right? no? Strike You as Ya float in Canoe. Love is Sorta Freigtening? Huh? IF You ( You no snoop ) Snoop. If You Practice ` Pig Boar Squeal? Horseflies or by ` Rooster Who Peck.